To this reader (me), the tattoo is about protection – Lisbeth wants a dragon to watch her back, to protect her from enemies. But unlike Perseus, who used the gorgon’s head to slay his enemies, Lisbeth can’t set aside the dragon when it becomes burdensome – its watchfulness is part of her. And unlike Josey Wales and Patrick Jane, Lisbeth’s vengeance can’t be satisfied and justice achieved by killing the man who murdered her family; her quest is too large for that. It’s as large as a dragon or a rainbow, and just as hard to reach — Lisbeth has the audacity to believe that women have the right to be safe from abuse. Since no one else in her world seems to be doing anything to ensure this right Lisbeth takes the sword of justice into her own hands, killing or disempowering “men who hate women” when they cross her path. While she is willing to die in the attempt to make women safer (as when she goes after her gangster father and half-brother, who have been trafficking in women), she would rather survive and live in freedom. More like Patrick Jane than Thelma and Louise, Lisbeth uses her formidable intellect, plans ahead, thinks on her feet, and controls her impulses to achieve her ends. But since her quest is endless (the world is full of misogyny and misogynists), there’s no redemption in sight for her. As well as the problem of an endless quest for justice, Lisbeth herself has been turned to stone by abuse. Being brutalized has shaped her into someone who can exact retribution, who can be as implacable as that blindfolded goddess with the scales. But what does that do to her human side? Actor Noomi Rapace talked about how it felt to play Lisbeth when she had to “find her in me” and then “translate her into me”, which was like having the character “move in” to her own body. Rapace said that her initial inspiration was Patricia Arquette in True Romance — one of Rapace’s long-time favorite films, she had watched the scene where Alabama kills the hit man at least a dozen times. After reading Larsson’s books Rapace wanted to play Lisbeth but worried that she looked too “soft”. She lost weight and learned kickboxing for the audition. When she got the part she had Lisbeth’s facial piercings done instead of faking them so her portrayal would feel more authentic. And then she descended into the character for the duration, filming the three movies back to back. Rapace said she was glad the movies were filmed all at once (in about 18 months) because she couldn’t have managed being Lisbeth over a longer period of time. As Lisbeth, Rapace was suspicious, angry, and aggressive, and this state of mind or being bled into her interactions with friends and family. At the party for completing the films, while cast and crew drank champagne to celebrate, Rapace went off by herself and vomited. She said she wasn’t ill, she was casting Lisbeth off – literally throwing Lisbeth up and out of her body so that she could go back to being Noomi. Much as she admired the character, she was ready to end the symbiosis. The peace of mind that comes to righteous avengers only visited Rapace when she was able to stop being the girl with the dragon tattoo. *Larsson died without a will, so the rights to his books went to his father and brother, who hired another author to write the sequel. 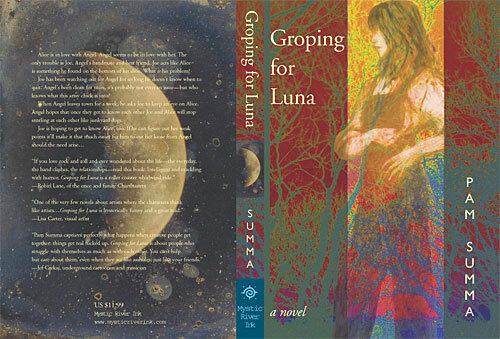 (Due out next month, with no reviews allowed until then, and no advance copies. Seems a bit odd, to say the least. You have to buy it before you can decide if you’re interested?) Eva Gabrielsson, Larsson’s partner of 30 years, has said that the sequel is not about “continuing” the characters and story (as advertised), but about making money. 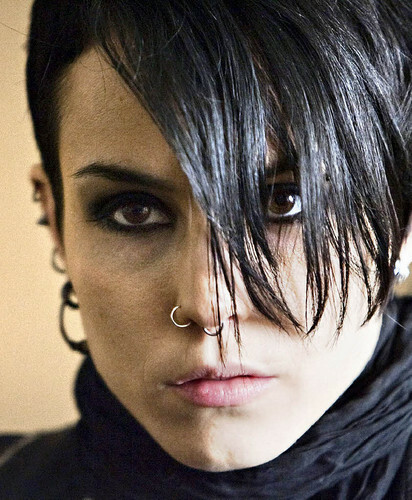 She was also unhappy about the way the Swedish films were hustled into production to take advantage of the books’ popularity, but in later interviews said that Noomi Rapace “made” the films, and even that Rapace “managed the literary estate” on her own, defending the character of Lisbeth Salander by refusing to do or say anything in the film that did not match the character in the books. This entry was posted in Books & Movies and tagged Eva Gabrielsson, Josey Wales, Lisbeth Salander, Noomi Rapace, Patricia Arquette, Patrick Jane, Stieg Larsson, True Romance.